A Belmont-made radio and identical to the Belmont 5D118, this Coronado 43-8160 is a neat little compact radio that packs an entire AA5 superheterodyne AM radio. 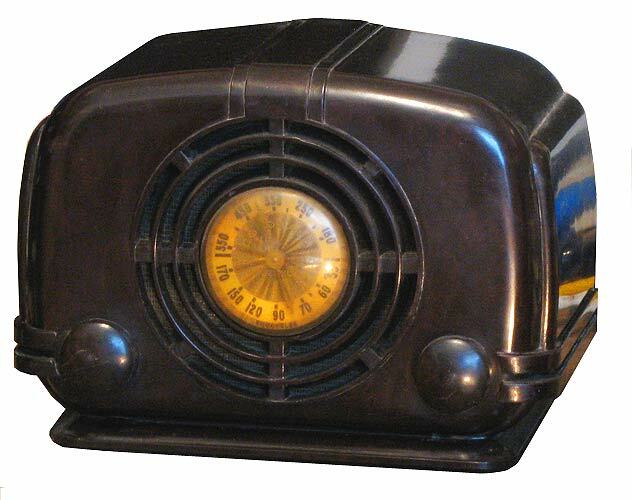 Many references date this radio to 1947, but the cabinet makes me think of this as a late 1930s to early 1940s design due to the art-deco styling. By the late 1940s, many radio cabinets had moved towards more square or jet-age styling with painted bakelite or more-modern plastic so the Coronado seems anachronistic for 1947, however, the early 1950s Crosley 11-100U to 11-105U bullseye series of radios share a similar resemblance to this Coronado.